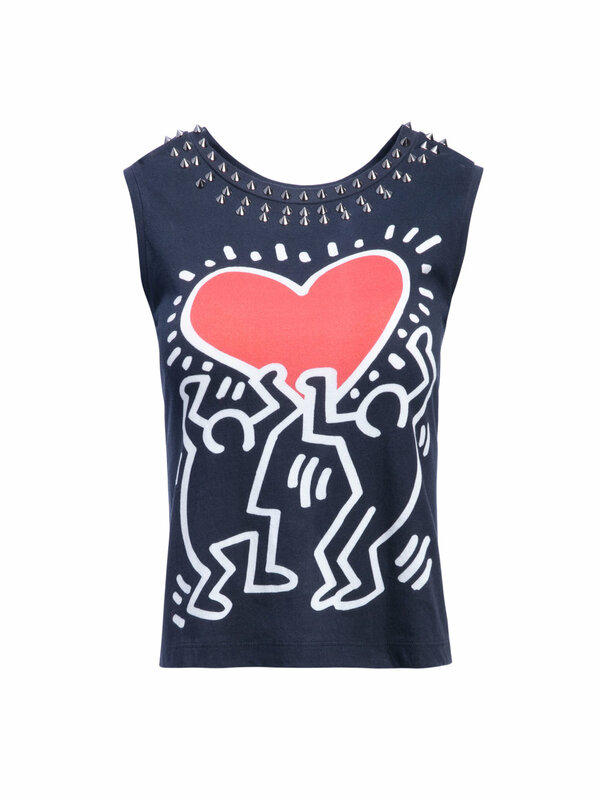 We partnered with alice + olivia by Stacey Bendet on a Resort 2019 capsule collection featuring the artwork of Keith Haring. As an avid art enthusiast, Bendet is constantly inspired by various artists, bringing their work to life through fashion. 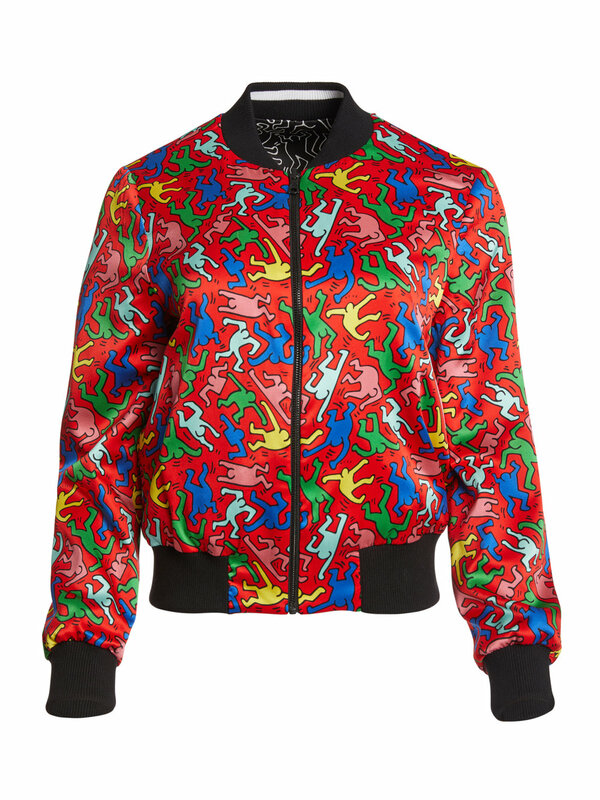 The Keith Haring x alice + olivia capsule collection includes a dancing figures print on a leather jacket, reversible bomber, cardigan, tees, ball gown skirts, a clutch and booties, and a patchwork print on a denim jacket, denim skirt, and jeans.